Last week was another exciting flurry of crypto record-settings and announcements, with the price of bitcoin climbing above $2,700 for the first time, if only briefly, and the announcement of a blockchain-based web browser that could eliminate user information exposure to advertisers and websites. In this edition, we explore potential outcomes for the trajectory of BTC price and sum up the biggest headline makers in blockchain technology of last week. There doesn’t seem to be any indication of bitcoin’s engine running out of steam any time soon, with some financial analysts predicting the price of bitcoin to rise to $4,000 by the end of the year. Bitcoin and the art of ICO investing has been mentioned in particular several times this year on CNBC and Forbes, who are not only legitimizing the financial and other benefits of blockchain technology by including it as newsworthy, but indirectly training millions of savvy new investors around the globe about what cryptocurrency is, and means. There’s no doubt that media sources have collectively shifted and now tend to report more positive stories on cryptocurrency than negative. Despite whatever remaining negative connotations prevail, bitcoin is a word that is becoming more and more accepted by Wall Street, and thus more and more in the scope of the truly big money. Behind the veil of secrecy and nerdery of the blockchain is a provably-functional system for the efficient and secure record keeping of data. Back in 2008, Satoshi Nakamoto himself realized the potential impact of blockchain technology on society outside of its use as a currency. In 2017, the idea of the blockchain has finally taken the globe by storm, currently being applied to the solution of countless problems worldwide in an extraordinary number of creative fashions. 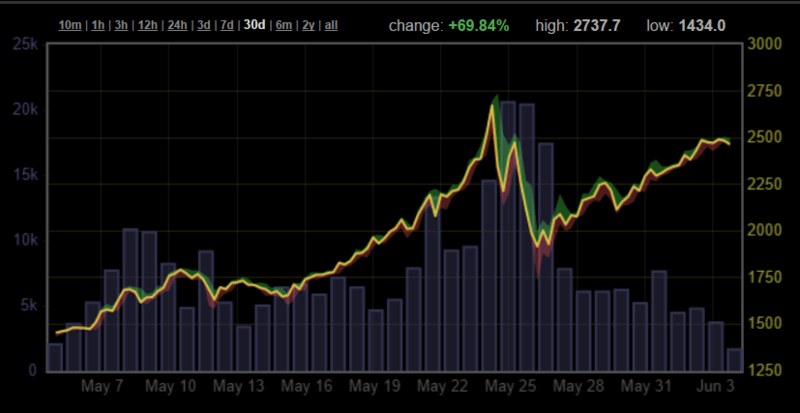 Therefore, it stands to reason that BTC’s spectacular gains this year (and dozens of other coins as well) are the result of the gradual influx of big investor money. Like, bank and hedge fund “big.” Wall Street has woken up and flooded the coin space with a boundless enthusiasm not seen in years prior to 2017. How long the new love affair will last is anyone’s guess. Sometimes too much attention can work in an unfavorable direction. In this case, a bitcoin-backed ETF called the Bitcoin Investment Trust (NASDAQOTH:GBTC), opened trading at an average of 105% the price of bitcoin, and was recently trading as high as 125% the price of bitcoin, meaning investors and traders either simply don’t care about the actual price of bitcoin, or else they know something that no one else does… In either case, novice investors are given notice of the potential for a severe correction in the price of bitcoin to occur sometime soon, setting the price back by as much as 47%. 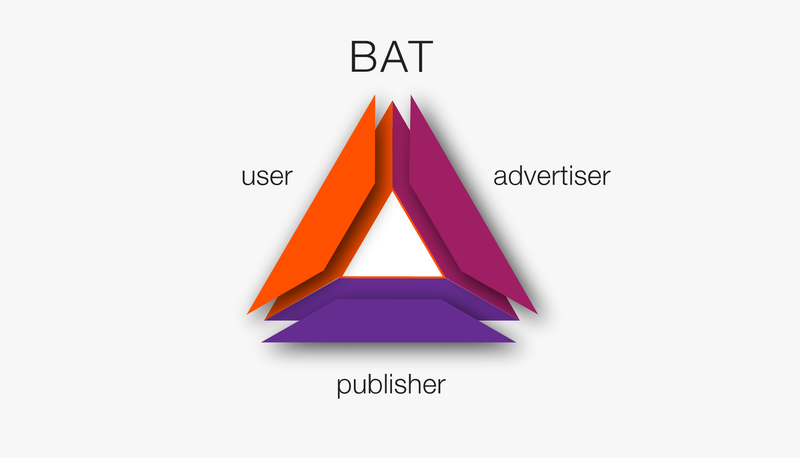 One billion BATS were sold in 30 minutes to a total of 130 investors, who were quick enough to get in on the Ethereum-based project. Brave has already earned 5th place on Wikipedia’s list of highest funded crowdsourced projects of all-time, beating out previous record-breakers Aragon, WAVES, and Ethereum itself. In an attempt to raise funds to make its public stock offering (IPO) valuation a remarkable $1 billion, the popular bitcoin exchange Coinbase recently announced plans to be listed as a trade-able stock, reporting that they had raised $115 million in funding to date. Conducting millions of dollars in transactions daily, Coinbase operates in over 30 countries, and allows registered users to trade a number of currencies for bitcoin. Its user-friendly interface and straight-forward registration process makes it one of the most popular and successful bitcoin exchanges to date. Initially, Coinbase began as a bitcoin-only exchange, but has since added litecoin and Ethereum to its list of offered coins. In their ever-complicated quest to remain a legally-compliant company, changes in both federal and state level regulations frequently force Coinbase to drop users whose governance renders their operation illegal in their jurisdiction. 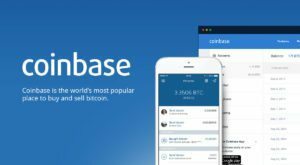 Regardless, its success over the years and relative cooperation with world governments renders Coinbase corporation status-worthy, at least in the eyes of its would-be shareholders. Late last year, Coinbase co-founder Fred Ehrsam had an opinion piece published in the Wall Street Journal, vowing to use Coinbase as a means of disrupting pre-existing corporate structures.